Thread: Post your GenePlaza Results! Is this just DNA.land with a new name? It's a Belgian registered company, with various European staff, I don't see any connection to DNA Land which is US-based with North American staff. Ok but the graphics colors look exactly the same. Perhaps they just weren't original in their web design? Doesn't have the specificity I'm looking for but what the hell I'll try it because it seems to be free. Ah OK, so same algorithm, even if different company. How long does it take after the upload? 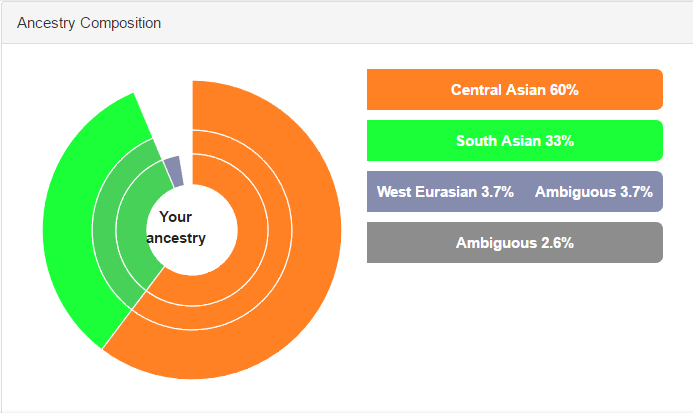 Asians, please post your ancestry results and Dodecad K7b results.